Web page performance and metrics made easy for developers, just leave it to me, I will do the hard work collecting data from industry standard rules and present them to you in a easy way, with clear insights. 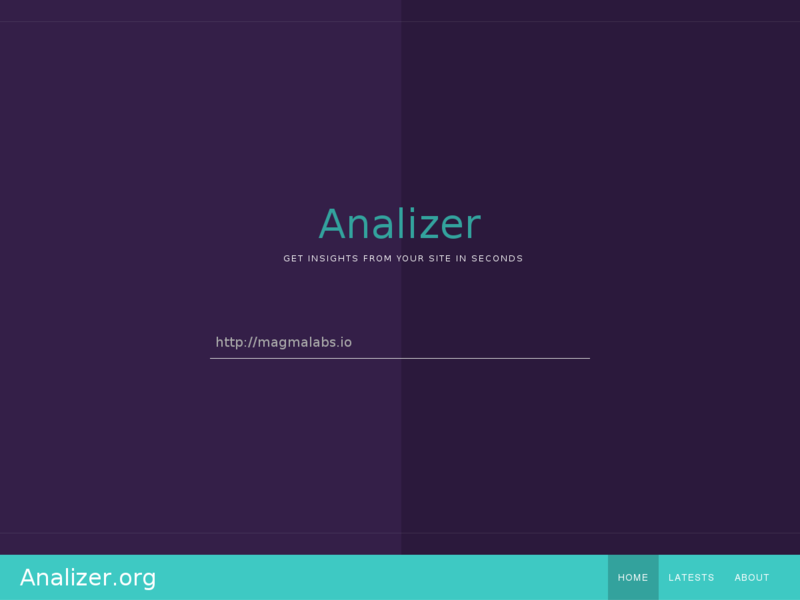 Not only that, you will see the average results from analizer.org against your site, and the raw data if you want to do something else with it. My name is analiser.org and I will do your life easier my dear developer.